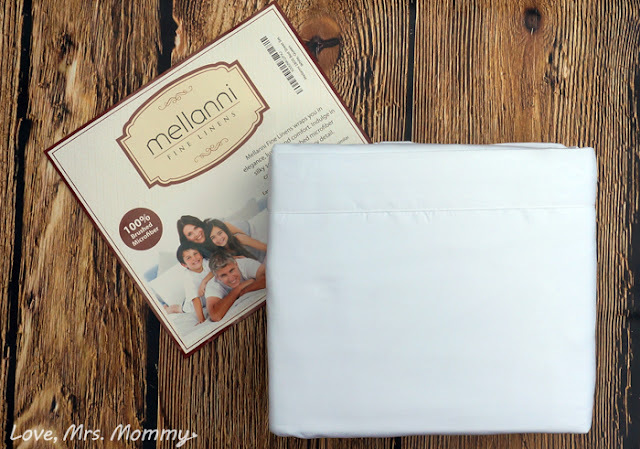 Love, Mrs. Mommy: Mellanni Gives You A Restful and Cozy Night's Sleep! Mellanni Gives You A Restful and Cozy Night's Sleep! I received a Mellanni Bed Sheet Set and Mattress Protector at no cost to facilitate this review. All opinions are my own. Nothing feels more wonderful than slipping into your bed with some cozy and comfy bed sheets after a long and tiring day. Once you are all tucked in and ready for dreamland, the last thing you want are rough sheets scratching against you and making a lot of noise. I had a set of those sheets and I am excited to say that thanks to Mellanni, those sheets have been retired! I love how comfortable and soft these sheets are. I am reviewing the 1800 Brushed Mircofiber Sheet Set and they are a world of a difference from the sheets we replaced these with. Before, every time my husband and I moved during the night, the sheets were so crinkly and loud, they would actually wake us up. It was horrible! I can truly say that after switching out our old bed sheets for these beauties, my husband and I have slept much better! 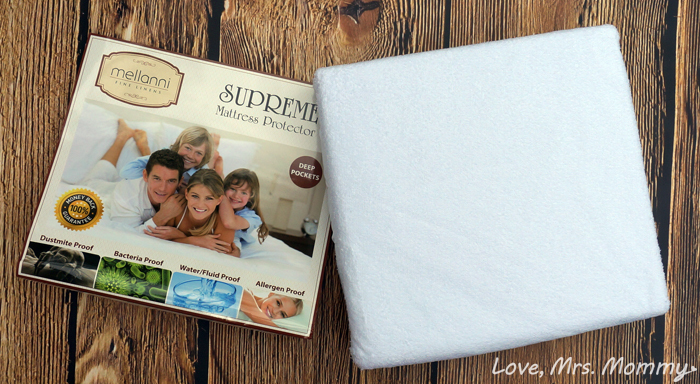 Underneath these great sheets is their Supreme Mattress Protector. Their protectors are dust mite, bacteria, water/fluid, and allergen proof! They have deep pockets and are made of the highest quality material and workmanship. Their protectors are breathable with noiseless cotton and a terry surface with membrane-back coating and that is vinyl free. They will fit Tempur-Pedic, Ashley, Simmons, Sealy, Serta, Memory Foam Topper, and Waterbeds. They also come in Twin, Full, Queen, Kind and California King sizes. Before putting our new sheets and protector on our bed, I ran them through the wash. I was happy to find that they held up great, with no rips, tears, frayed edges, etc. There were also no struggles, or problems getting the sheets on our bed. They slipped on perfectly. 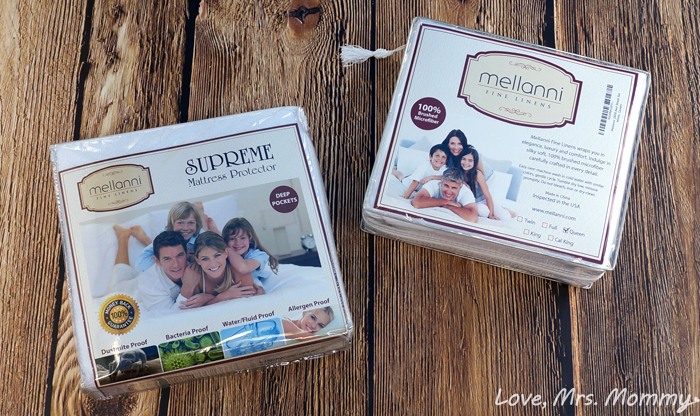 We couldn’t be happier with our new Mellanni protector and sheet set. Everything is soft, luxurious and comfortable. A perfect combination for a wonderful night’s sleep. I love companies that stand behind their products and Mellanni does just that! They offer “The Best Unconditional Lifetime Guarantee”, so how can you go wrong?! This is a 100% no questions asked, no hassle money back or replacement guarantee! Perfect to give you ease of mind when you want to make a purchase. Connect: Find out more about the Mellanni by visiting their website. Then make sure you “like” them on Facebook and follow them on Twitter. Buy It: You can purchase the items shown in this review and much more on Amazon. These sheets looks so comfortable. I would love to try these sheets out, am always looking for a better sheet that I can be comfortable in with my ezcema. Oooh they sound amazing!!! Love the softness of microfiber!! They look so comfortable. Could use some good sheets. What a difference having soft comfy sheets can make to how one sleeps. What a lovely set. I'd love these sheets they are so nice. I love that these sheets are silky and soft! Great giveaway! These sound so soft! We are in desperate need of new sheets. Would so love to win these so we can sleep in comfort again. Thanks for the review. I've found microfiber sheets to be hit or miss, some being fine (though Mellanni sheets sound much better than anything I've experienced) while others shrink. I love the sound of these sheets! I can use a go-d night's rest! Nothing is better than a set of nice soft cozy sheets! Looks super comfortable and soft. Would LOVE one they look so amazing! I've never tried microfiber sheets & right now my 2 sets of sheets have had it! They've shrunk over the years & have faded in spots. I've been shopping around but haven't given in to buying the microfiber ones yet. Wow, a lifetime guarantee? I've had expensive sheets, and none that I know of stand behind them for life. Will definitely be checking these out when I have to buy (if I am not lucky enough to win, of course.). I have been in the market for new sheets for, no joke, over a year! You know what keeps holding me back from clicking the "buy" button? The fact that I might not like them or they may not live up to their claims. The fact that these have a 100% guarantee makes me feel completely comfortable ordering them without any worry of buyer's remorse! These look really comfy, a lifetime guarantee for sheets?That is awesome. The article above was very well thought out; if I had the money to nuy a new mattress I'd replace my 10 plus year old one and would love these sheets! A small part in me would love to still win this prize as an inspiration... it would be wonderful to even lay atop the mattress presently and being the offer having a 100% guarantee uplifts the spirit! It's worth so much attention and should be considered to be purchased and given as a gift. For underneath these great sheets one would find protectors against dust mites, bacteria, water/fluid, and has been made allergen proof! These particular sheets are known for having deep pockets and are made of the highest quality material and workmanship. It suprised me to learn that they're protectors are breathable with noiseless cotton and a terry surface with membrane-back coating and that is vinyl free. Lauralee Hensley. Read your review. Glad they don't shrink. I hate that aspect of many sheets we've owned over the years. Saw the Amazon reviews, too bad that oily stains don't come out, especially if you have dry skin or eyes and use a oily based lubricant. Don't eat in bed so don't have to worry about stains coming from that aspect like one review seemed to suggest on Amazon. I'm not so sure about microfiber sheets. 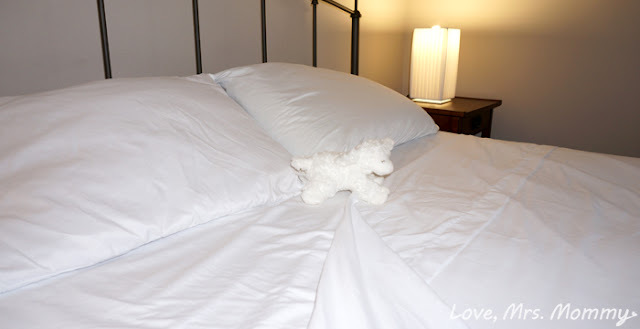 I live in Florida and as I'm getting older I seem to have a preference for 100 cotton or percale, crisp, clean and cool. Perhaps its the jersey sheets I don't like. But I'm willing to give a set of microfiber another try. Sounds like a wonderful product and since I've never tried microfiber sheets before, I'm very interested. Like you, I like companies that stand behind their products. OMG do these sheets look comfy! I would definitely sleep better on them! I like how soft they sound. They seem like they would just be heavenly and I would get a better nights rest for sure. I have chronic pain and this would make it just a little better. Look like really nice sheets. I need some. I like that they are wrinkle-resistant and have deep pockets. I love the quality of the bedding accessories. I give thumbs up on stitching.